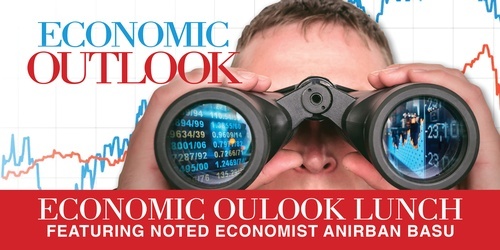 The Chamber is pleased to have Anirban Basu as the keynote speaker for the Economic Outlook Lunch. Anirban is one of the most informative and entertaining economists in the United States and he will highlight the strengths and weaknesses in the national and local economy. This is an outstanding opportunity to gain a deeper insight into current economic conditions, connect with business associates and participate in a special stadium tour after lunch.